The automotive sector in Chihuahua will materialize this year investments for US$399.5 million to be made by Bosch, Delphi, Federal Mogul, Yazaki and Electric Wring Systems, announced by investors and authorities in the last quarter of last year. 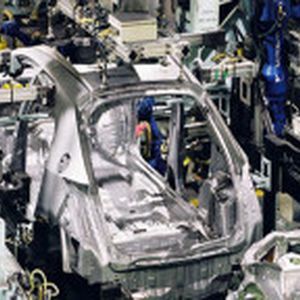 According to data from the State Ministry of the Economy, the automotive sector contributes with around 50% of foreign direct investment per annum at the State of Chihuahua. The German company Bosch has forecasted an investment for US$240 million in a plant at Ciudad Juarez, where they will expand their production of brakes systems and will incorporate new processes, such as electronic controls for steering wheels. This project is expected to be in full operation by next August, after hiring around 1,600 people. The US-based corporation Delphi will invest US$109 million in 16 new engineering projects, that will require around 2,360 new jobs. The American firm Electrical Wiring System is putting money on their operation at Ciudad Juarez, with an investment estimated in US$10 million. Also, the Japanese company Yazaki is planning to grow here with an investment for US$11.5 million and 3,130 jobs.